The biggest football fan in the world will admit that the international break is nothing more than a bore fest, in which we have to undergo the chore of watching our beloved-by-default England. However, rejoice – the Premier League is back tomorrow, and the tie of the weekend is the early kick off at the Etihad: City v Liverpool. Both teams have enjoyed positive starts to the season, with two wins and a draw making up a reasonable point tally heading into the first break. With both teams splashing the cash in the summer, they both have every chance of being up there come May. If you’re one to look at previous fixtures between clubs as a way of predicting games, I’d get down the bookies and put a lot on a win for Klopp’s men, but luckily for City fans, the last few outings against Liverpool don’t mean anything tomorrow, and it promises to be a great game. City fans will tell you that predicting a Pep Guardiola team is one of the hardest things in football. Predicting a Klopp team is a close second. Full back is probably the hardest area to guess. So far this season, Klopp has used Alexander-Arnold, Gomez, Robertson and Moreno in these positions and all four have received plaudits from the media for positive displays. This leaves Klopp with a selection headache, so my best guess is Gomez and Moreno, probably the better pair at the defensive tasks that they will inevitably face from Sané et al. Klopp confirmed in his press conference this afternoon that Philippe Coutinho will not feature, on the back of an injury and much media speculation about his future. This will come as a relief for City fans, as Phillipe has an impressive record against the Blues. At the other end of the pitch, Klopp would be a fool to change around his trident of Mané, Firmino and Salah who have all had excellent starts to the season. Deadline day signing Alex Oxlade-Chamberlain will look to start, however I see him sitting on the bench for this one – starting him away at a top six rival could be seen as throwing him in at the deep end. fond memories of, as he netted a hat-trick in a 4-2 defeat at St Mary’s in his Southampton days a couple of seasons back. 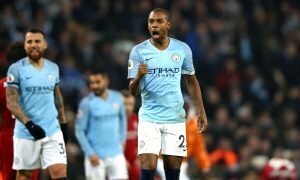 With Kompany 90% ruled out, Mané will be rubbing his hands at the thought of getting a run at Stones or Otamendi (or Mangala, or Adarabioyo, or whoever Pep asks to fill the huge gap Vinnie leaves). 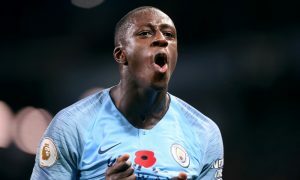 Of course, in recent years, he has found so much joy against us partially down to the ageing full backs we had – the elderly Zaba or Sagna never did much a job at stopping many tricky wingers in their last couple of years. In truth, any of the forward three could cause City’s defence all sorts of problems, so I would worry. However, both teams are in the same boat – I’m sure Liverpool fans are just as scared of Sané, Jesus, Agüero. 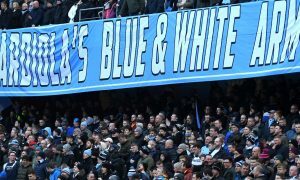 You have the view from a pair of City blue-tinted glasses, lets have a look at what a Liverpool fan expects of the game. I caught up with big red Laurence Purcell to ask what he thinks of Liverpool’s chances tomorrow and this season as a whole. achievement anywhere near our standards and expectations. But at the end of the day, only a trophy will satisfy both Klopp’s and the fans desires. FA Cup or League Cup success is definitely attainable, especially given the Reds’ newfound squad depth. And why discount a run in the Champions League? 6/10. For a window that promised so much, with messages from the club of ‘£200m spending sprees’, the closure of the summer transfer window left much to be desired despite some solid additions. A failure to address the issue at Centre Back is what largely drives my rating of the window. The pursuit of Van Dijk seemed to fluctuate across the transfer rumour spectrum from day to day. After the apology fiasco the club should have moved on to other targets but instead there was no progress on a key area. This topic will undoubtedly rumble on until significant improvements in defence are made for the Reds. Although it seems doom and gloom there were many positives out of the window. Salah was secured efficiently and adds genuine quality to our forward line while Andrew Robertson and Dominic Solanke will be looked back on in years to come as shrewd additions I am sure. Andrew Robertson’s one start so far was a MOTM performance against Crystal Palace that has whet the appetite of many Reds. The highlight for me was securing Naby Keita on a deal to join Liverpool come the 1st July 2018. Much like the Van Dijk episode, this one went through all the motions. In the end his signing almost came out of nowhere and has turned most of us into part time RB Leipzig fans for the coming season. Many opposition fans seem to be perplexed by this deal, but the work done by Michael Edwards (Sporting Director) and his team cannot be underestimated as signing Keita next year would most likely have been unattainable for Liverpool as the likes of Bayern Munich etc. would be circling. On Oxlade-Chamberlain, I am glad we have another body in the squad but he’s not a player that has really excited me before. What does excite me is Jurgen Klopp’s ability to nurture talent, I hope I look back on this deal differently come the end of the season. Mané is undoubtedly the man to watch out for this weekend, few players win the adoration of Anfield as quickly as Sadio has and I think he’ll be key for us going into the match. Aside from Mané there’s two players integral to Liverpool getting a positive result. Roberto Firmino is a player I have a lot of time for, at the risk of delving into too many football clichés, he’s a man at the heart of everything Liverpool do. With 2 goals and 2 assists already in the league he’s started the season in red hot form. He’s central to Liverpool winning the ball back and initiating the first wave of pressing. Up against Stones and Otamendi, I fancy Firmino to cause mayhem with his intelligent space-creating movement and timely pressing. I’m fairly confident going into the game but in truth I can easily seeing all results being played out. I expect the game to follow a similar pattern to last season’s encounter at the Etihad where each side had 13 shots apiece. The Reds have the capability to score the amount of goals needed to win any football match however the real matter is whether we can keep it out of our own goal. I’m going to bottle it and say 2-2. Mané and Wijnaldum (to break his away goal hoodoo) for the Reds.